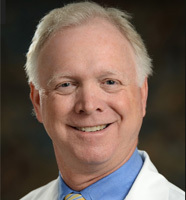 Dr. Mark Belew is board certified by the American Academy of Orthopedic Surgery and the American College of Surgeons. Dr. Belew has been in the north St. Louis County area, practicing orthopedic medicine since 1998. He specializes in general orthopedics and is accepting new patients. Dr. Belew's practice is part of BJC Medical Group of Missouri, a well-established, multi-specialty physicians group. Blue Cross Blue Shield of Illinois HMO (Blue Card Program). Blue Cross Blue Shield of Illinois PPO (Blue Card Program). Anthem Blue Access Federal PPO. Cigna Preferred Provider Access Plus. Cigna Open Access Plus POS. Anthem MediBlue PPO (Medicare Advantage). Cigna Open Access Plus HMO. Cigna Network Open Access Plus. Anthem Blue Preferred Options PPO. Anthem MediBlue HMO (Medicare Advantage). Union Pacific Railroad Employee Health System. Aetna Quality Point of Service. Aetna Open Access Managed Choice. Health Alliance (Illinois Marketplace Exchange). Anthem Blue Access Choice-Missouri BC/BS. United Healthcare Medicare Solutions Medicare Complete HMO. Cigna Healthcare Network Open Access Plus. United Healthcare Medicare Complete Plus Plan 1 POS. United Healthcare Dual Complete HMO-SNP. United Healthcare Care Improvement Plus-Medicare Advantage. Cigna Healthcare Network Open Access. Cigna Healthcare POS Open Access. Private Health Care Systems PPO (PHCS). Aetna National Advantage Program (NAP). HealthScope Benefits, Inn (Orscheln Industries Health Plan. Humana Choice PPO Medicare Advantage. Aetna Medicare Open Access POS. Harmony Health Plans of Illinois, Inc (Illinois Department of Public Aid). Anthem BlueCard Program PPO-Missouri BC/BS. Cigna Connect (Marketplace Exchange Plan). Humana Gold Choice Medicare Advantage Plan. Anthem Blue Cross Blue Shield Missouri, Regular or Traditional. United Healthcare Medicare Advantage NPPO. United Healthcare Medicare Solutions Medicare Complete PPO. Aetna Medicare Open Access HMO. Humana Gold Plus HMO Medicare Advantage Plan. Aetna Affordable Health Choice PPO. Home State Health Plan (Missouri Medicaid). United Healthcare Solutions Medicare Complete Essential HMO. Aetna Open Access Elect Choice. United Healthcare Medicare Advantage PPO. Blue Cross Blue Shield Illinois, Blue Choice Preferred (Marketplace Exchange). Verify Insurance Acceptance With Practice. Cigna Healthcare HMO Open Access. United HealthCare Community Plan (Missouri Medicaid).